Stone veneers give homes all the benefits of real stone – but at a fraction of the price. 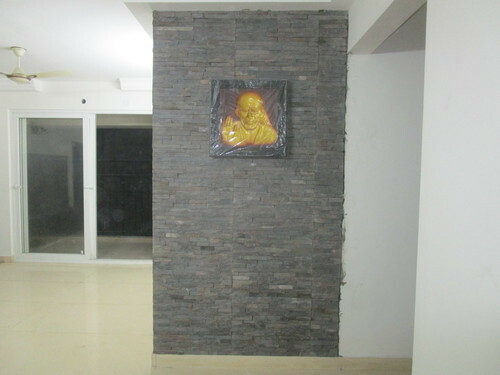 Since 2009, Aamphaa Projects, we are the leading trader and service provider our company has been able to provide quality interior decoration services for many of our customers in the city with our team of strong and experienced staff members. We offer interior decoration services in the range of Office Interior Decoration Services, Residential Interior Decoration Services, Bedroom Interior Designing Services, Showroom Interior Designing and Modular Kitchen & Wardrobes Designing Services. Many of our customers like residences, housing complexes, commercial offices have appreciated our services. We welcome queries from Tamil Nadu including Chennai,Coimbatore,Kanyakumari,Nilgiris,Tirupur, Vellore, etc. Very systematic and coordinated methodology including integration of knowledge goes into our creative process so that our customers specific needs are fulfilled. Our clients are aware of our expertise and have shown their full faith in our services by offering repeat orders for many of other various sites. We have engaged experienced and skilled workers to execute specific activities at our customers sites and have achieved their total satisfaction. Our services are offered on a turn-key basis and very economical.